The Homer Laughlin 12232100 RE-21 plate has a diameter of 10 inches. The oval shape is great for holding the main dish and all the sides that come with it. This plate is made for heavy use in commercial settings, with a surface that resists scratches and will not easily chip. The wide rim of the dish creates the appearance that food is actually larger than it really is, reinforcing the idea of value with your customers. 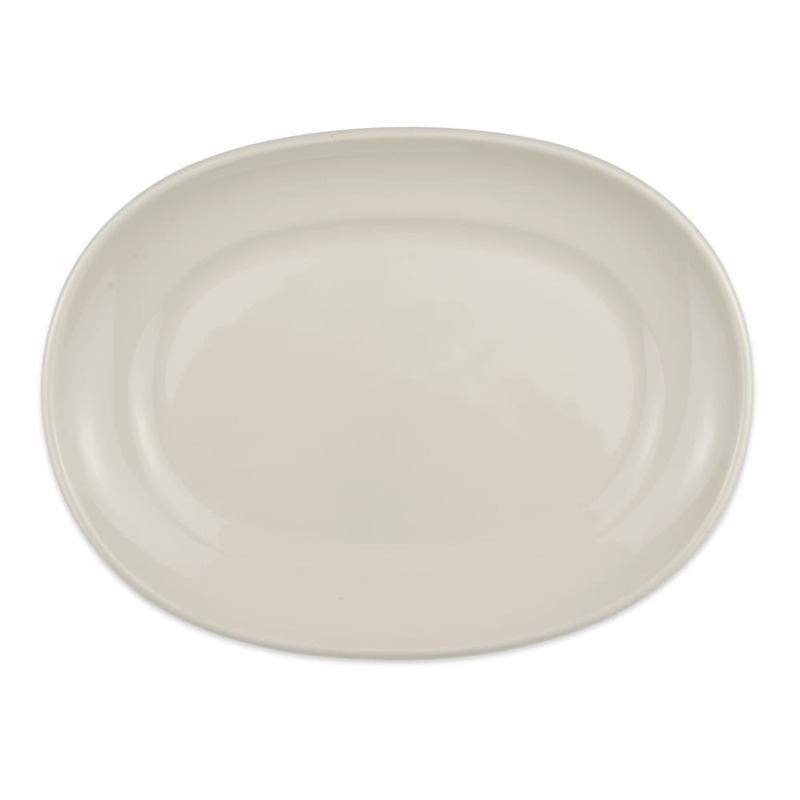 The Homer Laughlin 12232100 RE-21 plate comes in ivory, enabling it to blend in with other dishware.